Vibes: Grab a friend and head down to The Rose & Crown where you’ll find plenty of vintage charm on display. From the comfy leather chairs to the quirky wall art, it’s one of our favourite new spots in Al Habtoor City. Special offers: All-day happy hour every Saturday. There’s also a ‘Roast & Toast’ promo that includes two roast dinners plus a bottle of vino for AED 199. Vibes: A British pub with all the trappings of a Dubai sports bar, Jekyll & Hyde is an awesome weekend escape for both ladies and gents. Come by to watch the match, enjoy live music or play a game of billiards – the atmosphere is always welcoming. Vibes: If The Boston Bar looks familiar to you, that’s because the venue was designed to look like the iconic Cheers bar from TV. This American-inspired drinking spot is especially great if you live around Satwa. Special offers: Hoteliers and Cabin Crew enjoy 50% discounts every Saturday. It’s also Gentlemen’s Night every Wednesday where house drinks start at AED 29. Vibes: Haven’t heard of Nell Gwynne before? Well, it’s time to make an introduction. 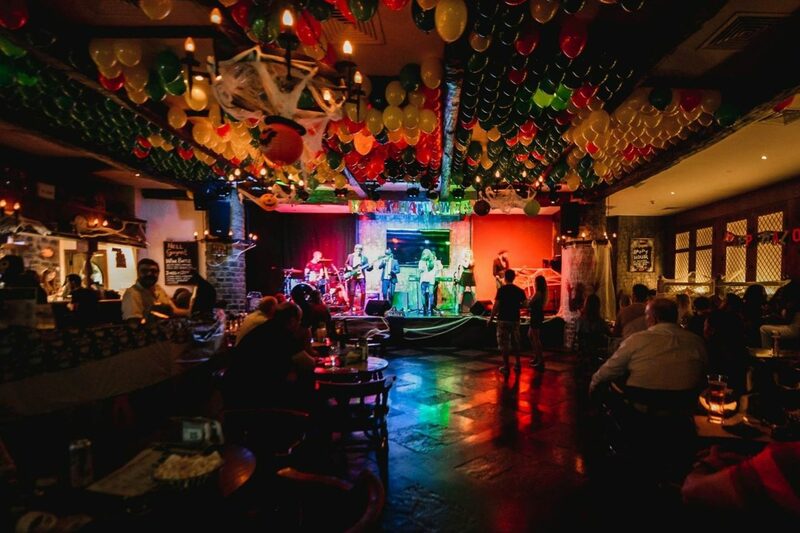 This spacious English pub boasts live entertainment and a home-style menu – not to mention awesome special deals throughout the week. Special offers: Bucket of 5 bottles for AED 120 during advertised games. Vibes: Straight out of a picturesque Scottish postcard, Copper Dog brings the Highlands to Dubai’s sunny shores. Arrive at this gastro-pub hungry – they’ve got a gourmet menu that shouldn’t be missed. Special offers: Happy hour takes place daily from 4pm to 8pm. previousIris Dubai Has Just Launched A Rooftop Disco Night!